This year I have been learning Chinese as part of my Teacher Professional Development Languages (TPDL) learning. TPDL is an in-service year-long professional development programme for teachers at all New Zealand schools. I chose to take on the challenge of learning Mandarin as part of being the ALLiS teacher for Newmarket School. I also took on the challenge as I wanted to foster closer relationships with the children that I work with at Newmarket School. Nearly one third of our school is made up of children who speak Chinese. I have visited China twice already but with limited vocabulary and my second visit happened during their Chinese New Year. Soon in China it is the Mid Autumn Festival 中秋節, also known as the Moon Festival. One key idea I have learnt is the importance of festivals and celebrations to bring families back together. My first visit to Chine was just before the time of the Mid Autumn festival. During this visit I was introduced to moon cakes. Again I had very little knowledge of the importance of sharing moon cakes. The Mid Autumn Festival falls on the 15th day of the 8th month in the Chinese lunar year. Myself I naively thought this meant the 15th of August. However had omitted the phrase Chinese lunar year in my first round of information. I know now that Mid Autumn Festival takes place in September because Chinese New Year happens in February when we compare the dates to the Gregorian calendar or the calendar which the western countries use. This year the date for celebration is the 15th of September. The Mid-Autumn Festival has its own special food. People eat moon cakes for celebration. The moon cake is a kind of pastry with various fillings and the surface is printed with different artistic patterns. Mid-Autumn Festival is also a time for family reunions. As the moon cake is round in shape, it symbolises the reunion of a family. So for this Mid-Autumn Festival our children at Newmarket School will enjoy a delicious moon cake at school and at home they will probably also enjoy a Moon Cake shared with family. Last year New Zealand celebrated Chinese Language week around this period. The first I heard about it was after the event. I have been watching for this years dates and checking the internet for the confirmed week. This year there is now a site for this event. This year I was determined that at Newmarket School we would celebrate this new national event. So at Newmarket School I am working with a group of senior students to coordinate a week long list of activities. I have just finished a paper on Intercultural Language Teaching which clarified the need to communicate in the first place and seek to teach culture in a way which develops intercultural communicative skills at the same time as developing language skills. Intwined with cultural activities is the opportunity to develop language. As a Mandarin teacher I have been focussed predominantly on language. Partly because of my own focus of learning Mandarin. One key activity is a language activity as I really want our children who learn Mandarin to have the opportunity to celebrate their learning. I will also give the children the chance to practice a formulaic speech and for this activity I will use our fluent speakers as judges to help me judge this. The second part is to identify our fluent speakers because next year I will prepare them for the oral Mandarin speeches. In addition I am keen to develop literacy skills for our Mandarin speaking children. So I have set the challenge of writing a book in English to retell the story of Chang-e. The lady in the moon. Our children who are literate in Mandarin will help me with translating. Also we have our parent community who will help me with the final draft. I have a group of artists who have chosen to develop the images that will be used. One of our school wide goals for 2016 is ‘Heath and Well Being’. So by incorporating mindfulness into the weeks programme through exercise, physical activities and meditation I am proactive in developing a positive health awareness culture in our workplace. I am conscious too that by sharing moon cakes during this week I must take into account the children in our school who have allergies to egg and nuts. Again it is about being prepared and identifying those children for their safety and well being. My next step is to work with my student organising committee and identify any hazards in their physical activities so that injuries for participating children will be minimised. I also need to reconnect with our National Chinese advisor as I wish to strengthen our working relationship. I also still need to reestablish connections with a past pupil of our school by inviting her to our events.During my research for the types of activities to run I have made connections with Confucius, Asia New Zealand, our local secondary school, several parents in our school community, our after school Chinese teachers and of course our children who are running several morning tea activities. Those of you who work with Chinese children and are not yet aware of Wechat, then use your phone and locate the app. Wechat is an amazing social media tool to use to create connections with our Asian neighbours. I use Wechat for communication in the Connect with China Flat Connections initiative. I use Wechat to build communications with some of our parents. I use Wechat to maintain connections with our previous Mandarin Language Assistants and to communicate with New Zealand teachers who have shifted to China. I use Wechat to develop closer relationships with our sister school in Ningbo. I have used Wechat to make connections with a kindergarten who will communicate with our junior school during the upcoming week of celebration. The week long celebration is now just two weeks away. I have let our parent community know that it is happening via our newsletter. I have alerted teachers to the dates and to be aware of their contribution in class. I have met with the student leadership team to design the activities that will be run. So now it is down to the finer details. Those of you who are in an ALLiS cluster, what kinds of events have you hosted to raise awareness and to celebrate our children? When I asked my parents if I could get my malu, my mother’s response was initially why? My fathers was, are you sure sweetheart. Are you aware of how hard it will be to remove? I said I am not asking for your permission , but I am asking for your blessing. They both gave their blessing. The why part is interesting. I have huge pride of being Samoan. I am aware that on the outside I do not look Samoan, however on the inside my Samoan blood is thick and pure. I know who I am and where I come from. I know my ancestry thoroughly because I am one of the family genealogists. Through that work, I learnt that my great grandmother Simeaneva Fonoti from the village of Le Pa in Falealii had a malu. Before I undertook my malu, I spoke at length with Noel McGrevy who had interviewed Samoan Tufuga and collated their photos and stories. I learnt about the malu patterns and the difference between female and male Mamanu. mother of sons and the atualoa is associated with my two sons. I have a stylized mata o le malu unique to me. In addition, I have the upega as my connections to my aiga, my gafa and in a way the way I connect online. When I first approached my tufuga, his response was ‘E ta muamua lou laulaufaiva na ta lea o lou tino.’ Meaning was I committed to my Samoan language and culture? Now when I meet Tuifaasisiga Tuloena Sua, I meet my other father. When I meet any of his other subjects, we are brothers and sisters of his family because together we spilled blood under his tools. can really respond to that statement. When I first had mine done, I would flash glimpses of it whenever I could. I was so proud and excited about having being blessed that I wanted to show the world my gift. However with age comes quieter pride. So you might only see it when I think you need to see it. I placed my trust into my tattooist. My body was his canvas. I undertook the pain for 36 hours. six hours per day over six days. My tufuga and I both were both responsible for my tattoo. His is the job and mine is hygiene and taking care of myself during and after the sessions as the skin heals. There are obligations of being a Samoan tattooed female, knowing what it represents and what it means. For me the malu sums up an old Samoan saying. ‘O le ala o le pule o le tautua.’ The path to leadership is through service. In my school of Newmarket I identify stronger with our historic motto: Not self but service. tufuga tattoos you, a ‘solo’ wipes off the excess ink and blood. In addition I was surrounded by family and friends singing along to encourage me as I lay half exposed while one third of my body was being tattooed. As the ‘au’ bit into my skin and the ink forced into the wounds, I could hear and feel the vibration in my bones. The feeling is indescribable. Each ‘Tufuga Ta Tatau’ has a rhythm and I coped with Tui’s rhythm by singing in a monotone to the rhythm of the ‘au’ and had holders grip my head, ankles and wrists. We celebrated the completion of my malu with the gifting of fine mats to the ‘Tufuga’ and special visitors. With this is a connection to my Grandmother Matalaoa as several mats came from her funeral via my parents. My sons were part of this process therefore paving the way forward for who they are. If you want to make contact with Tuifaasisiga Tuloena Sua, here is his contact cell in New Zealand, 021295 6482. On Tuesday I was part of a team of presenters presenting with Julie Lindsay at the Global Education Conference. I shared about #TeachMeetNZ the New Zealand project that I host on google hangouts. In addition I shared about #EdBookNZ where 10 New Zealand bloggers collaboratively wrote a chapter to unpack current generic education terminology. Here is the recording from the session hosted by Julie from Flat Connections. On Wednesday we had the final session for our ESOL area cluster group. The session was held at Stonefields School and after the meeting we were given a tour by @KirstyPanapa. I was interested in seeing their new building. 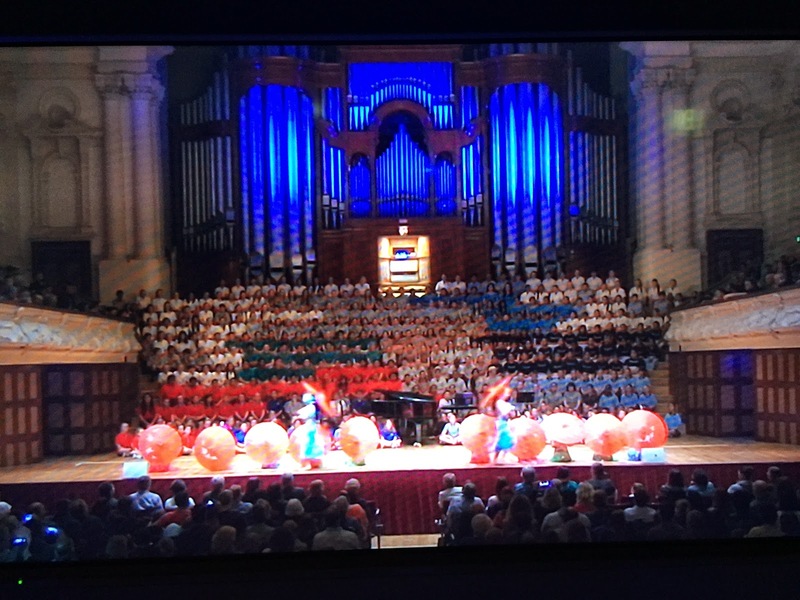 That evening I supported Virginia with our Chinese dance group who performed at the Auckland Town Hall as part of the Auckland Primary Principals Association Festival. On Thursday I presented the final part of a Trilogy. I had set a goal to present three times this year at Eduignite and I have fulfilled that goal. The first presentation was my Personal Tattoo, the second was my Digital Tattoo and the third was on Citizenship. In addition I had set a final presentation goal which was to present without notes by talking from the slides and I did. If you want to find out more about Eduignite then follow the twitter hashtag. I wrote about presenting at Eduignite here. This Thursday’s Eduignite had some fabulous presenters as we normally do and they were @digitallearnin @DianaWilkes @CaroBush @BridgetCasse @f_leaupepe @HmsMoore. It was great to catch up face to face with educators who have also presented with me on TeachMeetNZ. This time we sent through our slides to @cowieandrew as link on twitter so that there was smooth transition between presenters. 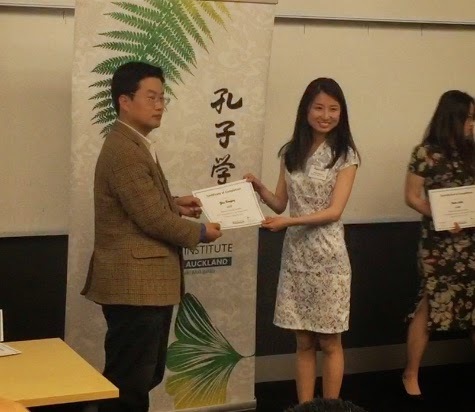 Then on Friday night some of us from school attended our Mandarin Language Assistant Graduation held at Confucius centre at Auckland University. Bingqin has been with us for nearly the whole of 2014. We share her with two other local schools. Finally on Saturday I attended another learning session with Julie Lindsay with our #FlatConnect cohort. I enjoy these sessions as I know I am learning so much from my team mates about being a Global educator. We were given our final task of designing our own global project and I am keen to begin the framework for our Ningbo sister school in China. So in all another busy and fun learning week. The most important variable in collaboration is people. I keep coming back to the phrase that before collaboration can take place people need to make connections. Dr Wendy Kofoed and myself are presenting this very topic at Ulearn. If you have questions for us you can add them here to our Q & A Padlet. Over the past two months, I have been making connections with three groups of educators as part of Connected Educator Month. I have been practising digital citizenship. I have been struggling to make sense of digital citizenship because I believe that citizenship is a strong enough word on its own. Why do I need to add digital in front of it to make it something other than what it is. I want to present this idea at my final Eduignite series where I hope by then my thinking is clearer. Monika @BeLchick1 has agreed to take on the challenge defining Citizenship as part of our #EdBookNZ project and I will be catching up with her soon to find out what she has been reading about on this very idea. Myself I agreed to work on connected educator and you can read about my thinking on connected educator here. In September I joined the second cohort of the Flat Connections Global Educators under the guidance of Julie Lindsay @julielindsay I am aiming to become a certified global educator by the end of this year. 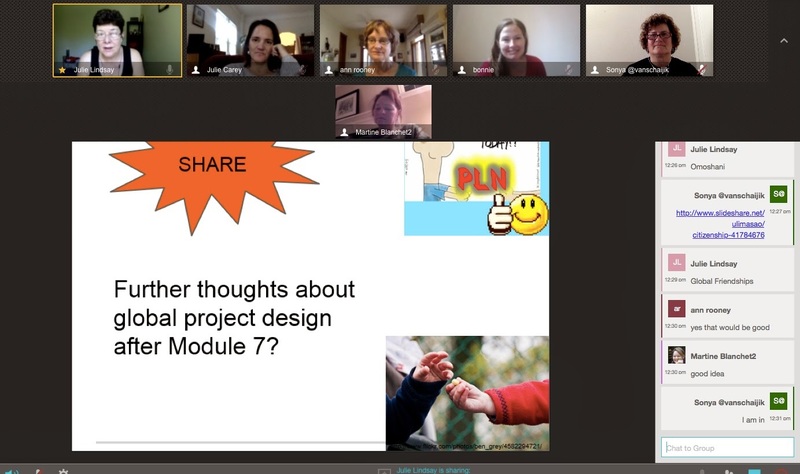 The outcome of that would be that I have led a global project and I would have worked with a group of #FlatConnect educators from around the world. I have taken part in several global projects and hence why I coordinate #TeachMeetNZ because here in New Zealand we are in still in the infancy stages of having our teachers working together nationally on national projects. Like the teachers blogs that have surfaced, evidence shows we are still in the early stages of collaboration. I have started to see some evidence of our teachers taking part in global projects with their classes but again I can count that on two hands. Some of that work you can see when I run the second TeachMeetNZ session this month as part of connected educator month. Already I have adapted the work I do online with #TeachMeetNZ to align better with what I am learning. On reflection I know I have not given enough opportunities for the teams I work with each quarterly to make connections and to get to know each other. This is called a handshake activity. Therefore for this connected educator month I have set up a padlet for my handshake activity because I would like to implement what I am learning. The first collaborative assignment involves Digital Citizenship –concept and practice? I am working with Ann Rooney @AnnRooney6 and you can read her blog post here on her current thinking around this. Julie gave us the term and a few guidelines as to how to go about carrying out the assignment and the rest is up to us. From the four years I have been using SOLO taxonomy in my teaching and learning I know that first step is to define my key idea. I am reflecting on citizenship through: all those online and offline experiences; conversations shared over scrambled eggs and bacon and through the screen; and books read online and by turning the paper pages. “Any action that makes a positive difference to the common good can be construed as an act of citizenship. Enabling students to think critically about their own lives and society as a whole is a powerful way of making citizenship visible to them. To develop what Hayward (2012) refers to as a democratic imagination, motivation and involvement, students need a context where they have a voice and feel like they belong, matter and can make a difference. A context where they can value, and act in ways that promote, community and participation for the common good. A context where they can experience agency and demonstrate the rights and responsibilities they have as citizens.” Hook (2014 in Press) – Transport as a context for encouraging skilled and active citizenship) Pam Hook is writing about using the road as a commons – a shared space – as a context for citizenship but her arguments can just as easily be conceptualised through the use of digital technologies. Pam’s question is: How might we build students’ democratic imagination, motivation and involvement as “digital citizens”? We think it might look something like this (draft thinking only). Students taking on a glocalisation project to benefit our local environment. EG:I would like to see here what we are doing to minimise traffic around our inner city school. Educators volunteer to take part in an online project where they act in ways that will benefit others. An example here would be the GlobalClassroom chats I have hosted and co-hosted on a variety of topics. Educators take a skilled and active role in a group that hosts and or organises online projects for the benefit of others. 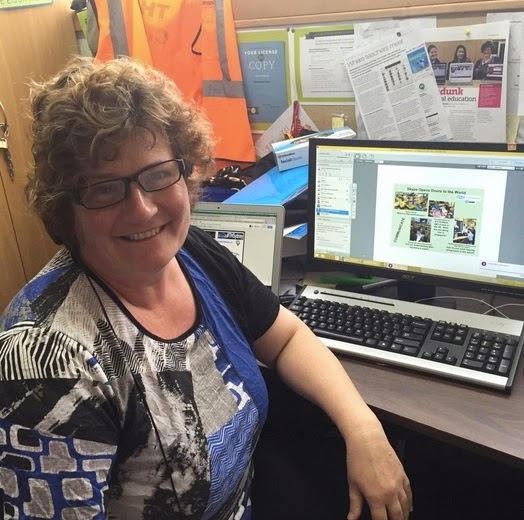 eg: where are the Pasefika educators hiding online. 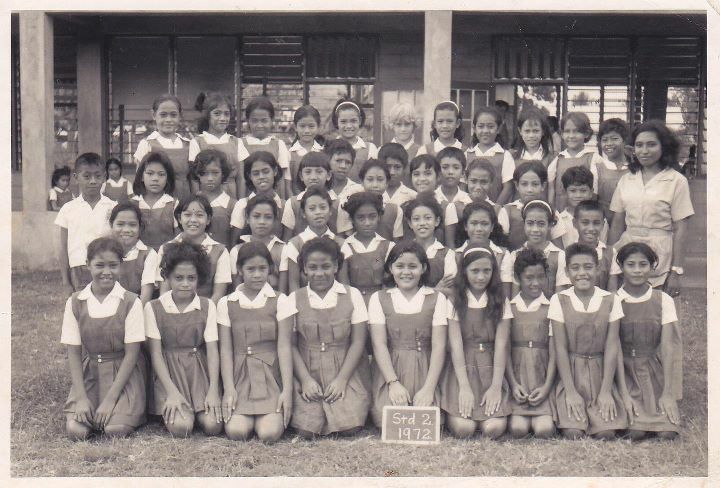 I plan to host a TeachmeetNZ totally in Samoan as part of Samoan Language week in 2015. Part of purchasing the course book gives me access to further online resources including access to a glossary and this is what this is what I found on Pearson’s resource site. The observations by Couros are supported by the conversations with Hook – see above. When educators are connected to resources and create learning environments to help students form educated opinions and behaviours for online safety they are acting as citizens – acting in ways that promote the common good. There are five areas in which personally responsible, participatory and justice oriented citizens can act to promote the common good in and with online environments. These are: technology access, technical awareness, individual awareness, social awareness, cultural awareness and global awareness. From Flattening Classrooms. Engaging Minds Chapter 5, Citizenship, In the enlightened digital citizenship model. I will take these terms in turn and use them to better understand what I do when I act as a participatory citizen with TeachMeetNZ. (refer ticks in grid below). I note that there are other elements that can be addressed. So already I can see how to make what I do online even better. Technology Access: Tools for Collaboration. In order for collaboration to take place the educators that I work with must have access to Asynchronous Communications such as twitter, and google+ communities and via gmail because we are using a google product. Communication takes place asynchronously in that the participants do not generally communicate concurrently. However when we move to the live streamed event, we use synchronous tools such as google hangout and even twitter. Therefore communication takes place in real time. When the session is over we move back to asynchronous communications such as twitter, a blog reflection and commenting on each others blog and a wind back of the hangout via youtube. The educators that I work with develop their presentations using a communication conduit such as google presentation and the group wiki through which ideas flow between themselves and me on their presentation. I can see their slides develop as they are being built and can give feedback. The communication conduit happens too via the google + community and via twitter where we use the #TeachMeetNZ. I have added a facebook page too but at this stage I still find twitter the best place to pass messages through. 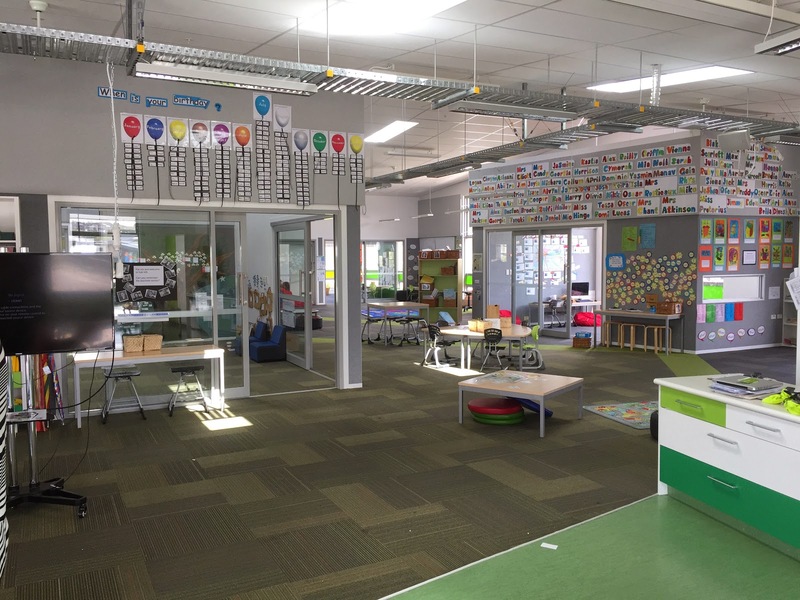 This next part of my reflection involves walking the educators through the process of the TeachMeetNZ sessions and their learning framed with the five areas of awareness that develop as their online learning unfolds.The first term is technical awareness. Educators are faced with a new tool such as using google hangout to present their learning. They generally have a basic awareness of the features and functions of Google Hangout. Many of the educators I work with are also new to wikis and presenting on #teachmeeetnz is usually the first time that they have created a presentation that is Asynchronous. Next Individual awareness evolves as the educator decides how they will create their slides for sharing with an audience. The first thing learnt is making a copy of the presentation template. They also learn how to respond to a call and learn how to use the tools. We have three practise sessions before the min event. Then during the first face to face virtual practise session, social awareness takes place. I see the educators tagging and linking to each other via twitter and adding each other on google +. I also see how the slides evolve as they personalise their presentation. Some take the slides and totally rehash them, others create their own sequence and I have even had a couple choose a totally different media too to present with. From these experiences I can see my own progress in social awareness develop as I had not even thought of using some of these ideas for presenting. After that cultural awareness happens as the educators learn about each other, from each other and understand what they have in common. They make connections with each other via same interests, same education levels, same cities that they live in, and even same cultural background. They find out family facts and put a face to a twitter handle. Some make connections because what they hear about is new learning for them and so generally go and find out more about the topic before the next hangout practise takes place. Finally global awareness happens, as the hangout is live streamed and feedback comes in from countries on the other side of the globe. The educators are excited that someone as far away as Brazil, or Spain or Finland stopped by to hear their story. They realise the impact of what has happened. For me the most exciting thing is seeing what happens next. I observe several who have joined me suddenly blossom in online confidence and I see them leading other initiatives and being rewarded with recognition from the education community both nationally and globally. In addition I love reading their blog reflections of the process and several have told me that their blog readership spike after having taken part in a session with me. Developing a democratic imagination as a connected online educator. An awareness of these five areas is the beginning of developing a democratic imagination online – of digital citizenship. These five areas of awareness are like a lens to look at the behaviours we demonstrate online. In SOLO I would call this outcome multistructural thinking. The teachers that I work with know what it means to be online. 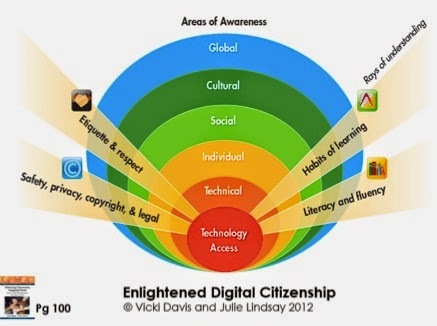 They are not taught about digital citizenship but through the experience of being a digital citizen – it is through participating in an online project like TeachMeetNZ where they work with educators from around New Zealand and that by living the story, this is an effective process of learning about citizenship. From reading Flattening Classrooms. Engaging Minds Chapter 5, Citizenship, In the enlightened digital citizenship model, the best behaviour filter we have is “the space between the ears of the person using a computer”. I love this phrase and have used it even with our teachers. Safety, Privacy, Copyright, Fair Use and Legal compliance. As the teachers create their presentation, they ensure that the images they use do not give away their children’s personal details. As they mash and rehash resources, they must ensure that what they used has been referenced and acknowledged. From the chapter on digital citizenship I realise that I must stress the copyright sections with the educators that I work with. By taking part in a TeachMeetNZ session they allow their work to be shared on the TeachMeetNZ wiki and with that comes responsibility to their school and the children that they teach. I remind educators taking part about transparency and ask that their slides are visible to the audience using an embed widget. Etiquette and Respect. The teachers learn about being respectful of other educators and learn how to give and receive feedback. A thought that keeps surfacing is disruption and I think that sometimes in education we live in an online bubble and communicate with like mindedness. Therefore missing the voice that asks us the difficult question. So we can ask the hard questions and still be respectful of the educators who ask us hard questions. In fact I welcome educators who ask hard questions I call them disruptive and use that term positively. Habits of Learning: Responsible Management of Online Activity. This section focusses on appropropriate habits of learning in the digital age. It focusses on the students but from my lens I focus on the teachers. TeachMeetNZ is an academic space and reflects an understanding of appropriate behaviour that is different from how the educators interact socially online. Reliability is shown by having an online presence. The chapter talks about the digital footprint and I talk about the digital tattoo because I often make reference to my personal tattoo. The educators are reliable contributors and collaborators in online spaces. Thinking about representation and flat leadership. It is interesting to note that educators who take part in a Teachmeetnz session with me are all involved with twitter, all have a blog and all have digital spaces that they contribute too. They are leaders on the VLN, early Pond adopters. In addition they have other education communities that they are part of or lead. Personally I call this being an educator and a citizen It just is. However, they are not representative of the wider community of educators doing great work in teaching and learning – and as connected educators and citizens we must not forget this. The TeachMeetNZ site is still dominated by me leading and I am trying to change that by encouraging other educators to lead. This is happening, but it is not fast enough for me. Using SOLO Taxonomy I can see that use of the space is currently at a multistructural level. The scary part is I can see where to take it to relational and extended abstract. But that is another blog post and that thinking is evolving using SOLO Taxonomy and because I am involved in this certification process with Flat Connections. Thinking about Universal Design for Learning (UDL) Hook (personal conversation) asks how we can design online groups and teach meets so that the conversations, learning materials and ideas can be accessed in multiple way – do we provide “multiple ways of presenting materials for learning”? Do we provide “multiple means of contribution – expression and action for learning”? This thinking should become our default design when thinking about initiatives for developing digital citizenship. Thinking about literacy and fluency. Language in New Zealand differs. Alongside our Maori Culture we have a vibrant Pasifika Community with representatives from all islands. Being Samoan I notice online in education that Pasefika and Maori educators are few and far between. So I am always on the lookout for Pasefika and Maori educators to join me. Last July I ran a CLESOL focussed TeachMeetNZ and was excited to have representation from both groups presenting with me. In Aotearoa New Zealand particularly in Auckland we already have a vibrant cultural representation so why is this not reflected online in our education circles. Yes it is growing but again is still in early stages. My goal is to run a TeachMeetNZ totally in Samoan and one totally in Maori. So if you are of those two groups you will already know that I have been shoulder tapping you to join me. I am aiming to support a session in 2015 during both language weeks in New Zealand. So where is this all leading too? The post is to clarify my thinking around Digital Citizenship, but I continue to struggle. I think the term lends itself better to just being citizenship – to ask how do we act with others in ways that enhance the common good online and offline? Yes the technologies certainly make our task of collaboration transparent and easier to coordinate but ultimately it is about people. It is about building relationships for the common good and we do this by making connections online and offline and in the between. Easier – is not necessarily better – any time, any place, must not neglect the anyone. In Samoa I would be asked: O ai oe? O ai lou aiga? O ai lou matai? Fea lou nu’u? or Who are you? Who is your family? Who is your village leader? Which village do you come from? In Maori we say He aha te mea nui o te ao? He tangata! He tangata! He tangata! What is the most important thing in the world? It is people! It is people! It is people! Image created by students from Newmarket School. Lindsay, J., & Davis, V. (2013). Citizenship. In Flattening Classrooms, Engaging Minds Move towards Collaboration One step at a time. Pearson. Thanks to Siromani for this tweet that gave me such a great opening for this post. Last night I was privileged to host a #GlobalClassroom chat session with Julia Skinner. Our topic was inspired by a blog post from Edna Sackson. Edna wrote about culture and used the analogy of an iceberg. The discussion was fast paced over the hour and I was thankful to Michael Graffin for creating a list of questions to help guide the discussion. I was particularly interested in hosting the session as I wanted to clarify my own thoughts about culture as this is our topic for Newmarket School. The first step in teaching a new topic is to define the term with the children. I already had two sessions with the children and we had begun to make links with what they knew about culture. As my own knowledge was not as clear as it could be I was excited to learn from the discussion. I took time to ponder the various statements by going back over the chat via the storify created by Marnel. So this is what I have created for my definition. Thanks to all of you who took part as I have taken parts of the discussion to help frame my thoughts. Thanks to to Clive Elsmore who creates an archive of all the chats as it was great to trawl the following chats for their gems too. Culture is an iceberg. Above the water we can see national costumes, physical appearances, tattoos and body adornments, food and hairstyles. We can hear language and music. We can smell scents such as spices, food smells and nature smells including the different flower scents. We can taste foods that are sweet, spicy, salty, hard and soft. Below the surface we can feel joy, sadness, excitement, love and respect. Above the surface is the difference between us all. Below the surface is what joins us together as part of the human race. Our feelings is what makes us human. It is our treatment of the differences above the surface. Culture is our way of living. It is the beliefs and values of a group of people. It is the beliefs, values and traditions that we practise and celebrate in our daily lives. It is the core values that we all have in common such as respect, trust. beliefs, kindness and love. I think as families and individuals we evolve our own cultural practice to reflect how we are validated or what we learn. Learning about culture is important to accept the reality. “One world, Many voices.” It is about treating those differences that above the iceberg with actions of dignity and respect. It is about communication and being transparent with communication. Where to next, this week I will be reworking our class draft definition and I can see how I am moving to creating a definition of culture from our school perspective. So again, I can see how I would use the above the iceberg to what we can see in schools as a difference between schools and what happens below the iceberg as a commonality we have with all our children in schools. Finally, when I frame learning using SOLO taxonomy I use my SOLO mentor Ginny who I go to for feedback. Ginny has suggested I include way of life too and how culture is passed between generations. Therefore the idea from Siromani of ‘One world, many voices’ surmises this. Again Ginny’s feedback suggests turning my thinking upside down and begin with whats under the iceberg and use that to give examples of what is above the iceberg. Those of you who were with us last night, what definition of culture did you come up with? Follow up, I was interested to see Dr Kofoed, my school principal include this statement as part of our teacher appraisal. developing classrooms as high-trust environments, where the teacher affirms and validates the culture and identity of each student.’ Love it. 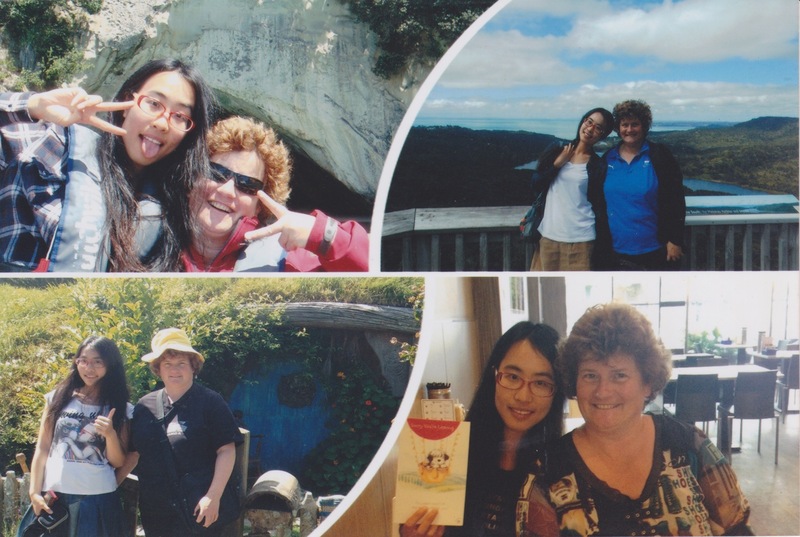 In 2011 Newmarket School joined the Confucius Mandarin Language Assistant Programme, through Auckland University. This means we have a Chinese Language Teacher who teaches language and culture at our school. 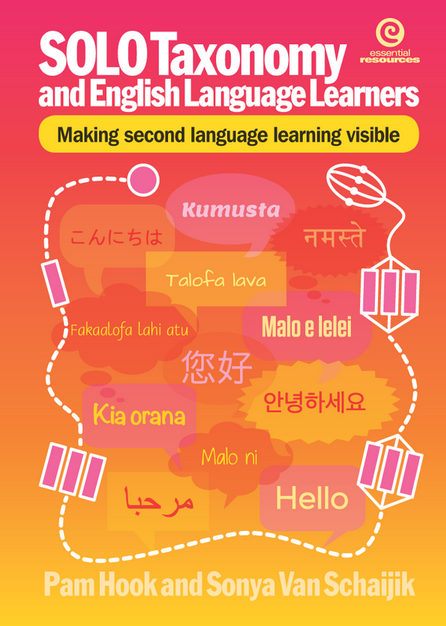 Our school is dominantly Asian and as such we believe in the importance of first language maintenance for our Chinese students and that our other students can benefit from learning another language in addition to Te Reo and English. In 2011 we had Mengmeng and then last year I agreed to host Jiao. However after the first few weeks, I mentioned to my principal that I was a fairly large eater and yet she could match me and then some. She was always hungry. My principal advised me to purchase a rice cooker and that was an excellent suggestion. Jiao was only supposed to stay with me for a few weeks. However because we were such a good fit, she ended staying with me for the whole year and I am so glad that she did. I am a mother of grown up sons and never had a daughter, so Jiao is like my adopted daughter. EG: like within the first month, I asked her to clean the bathroom, which was a task that she would do each week. I replied that it was Saturday and that it was the day for cleaning the bath room. And so we attended the first of many. However, she proceeded to hold me accountable to this event by telling my parents the next day, my sisters and then at school the following week, how I had made her clean the bathroom on her special dragon birthday. So my parents and sisters teased me about what a dreadful host mother I was. Jiao taught me heaps, like how to make dumpling, introduce myself in Mandarin and the Game of Thrones. Me I introduced her to bacon and taught her how to cook and bake. She took to baking like duck to water and made many muffins and cakes to fill up the lunchbox and to share with friends. Once a week, she would hurry home from school to prepare the evening meal. She used the internet to search out recipes and experimented continuously. Her favourite meal of the week was Sunday cooked breakfast. She got to sleep in and rose later for the event. We had a lot in common. A love of science fiction, to a love of our communication devices. She introduced me to the Chinese Social media that she used to keep in contact such as QQ and wechat. I haven’t yet understood QQ but definitely know wechat. I watched this quite shy quiet, young girl blossom into a confident and organising young woman. Her first major task was introducing herself in front of Confucius and later on in the year she also gave her experience of being hosted. Both major events made my heart swell with motherly pride. She organised her travels around New Zealand each holidays and I loved the fact that she did not rely on me to entertain her. She sometimes had friends over to stay. She had no hesitation at letting me know how she was feeling and her dry sense of humour continuous to have me in stitches. The fan dance she taught our children was stunning. Jiao ended up thinking that she was quite an expert and that the dance she picked out for the next MLA was so advanced and intricate that I still laugh at the memory. In 2013 I was selected as a TeachNZ Sabbatical and I toured the world. I told Jiao that I would come and visit her in Shanghai. This I did. By then she had a boyfriend and was excited for us to meet. When I arrived in Shanghai I could not believe how beautiful she had become. Her confidence had continued and she had developed into a lovely young woman. Gone were the trousers and replaced with skirts and pretty sandals. She introduced me to her young man Chao and I observed how her treated her. She had chosen well. He was delightful and obviously adored her. He was clever like her and could match her for intelligent conversation. He was very kind to me too. They spoilt me rotten with their time. Jiao was very proud of the univeristy she attended and she took me especially to meet Professsor Li and a chance to tour the university. She organised for me to catch up with Mengmeng and I was able to meet her husband to be. One fabulous memory I have is when they took me to visit the ancient town of Xitang in Jiashang county, Zhejiang Province. Because of the vastness of China, I got to meet her mum and his parents via Skype. They were wanting to meet me in person but because I had a short time, I said I would come back for the wedding.